Robin Fogarty is President of RFA: A Robin Fogarty Company, a Chicago-based, minority-owned, educational publishing/consulting company. Robin received her doctorate in curriculum and human resource development from Loyola University of Chicago. A leading proponent of the thoughtful classroom, Robin has trained educators throughout the world in curriculum, instruction and assessment strategies. 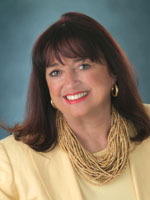 She has taught at all levels, from kindergarten to college, served as an administrator, and consulted with state departments and ministries of education in the United States, Puerto Rico, Russia, Canada, Australia, New Zealand, Germany, Great Britain, Singapore, South Korea, the Netherlands, the Kingdom of Bahrain and Saudi Arabia. Robin received her Bachelor of Arts in Early Childhood Education at SUNY, Potsdam, NY, and her Masters in Instructional Strategies from National Louis University in Evanston, IL. She is known as the teachers’ teacher and has mentored numerous colleagues in the art and science of working with the adult learner. She brings a wealth of knowledge and passion to all endeavors, has a wealth of knowledge in the field and conducts highly interactive PD sessions.